Lowen Clausen was a police officer with the Seattle Police Department for thirteen years before leaving the department and becoming a business owner with his wife, Patricia, in the Ballard neighborhood of Seattle. 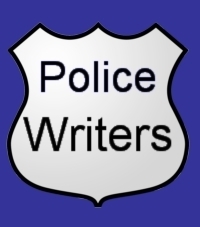 His experiences on the police department and his on-going ties to the Ballard community are reflected in his novels. Lowen Clausen is the author of Second Watch; Third & Forever; First Avenue; and, River: A Novel. The Department was established in 1886 and has evolved into one of the most well respected police agencies in the nation. In 2003, we became one of only a handful of agencies our size to be nationally accredited. The department employs approximately 1,200 sworn law enforcement officers and 700 civilian employees, all of whom continually provide quality service to Seattle's residents and visitors. Seattle remains one of the safest cities in the country.